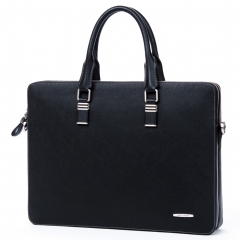 HIGH QUALITY MATERIAL: The briefcase is made of high quality genuine cow leather with durable polyester lining. 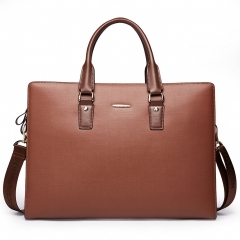 The hardware parts are made of retro brass alloy/gun-color alloy, these make the leather handbags more luxury. 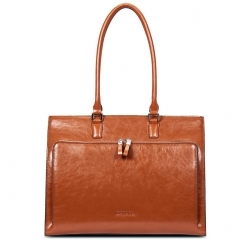 Zipper closure for your security. 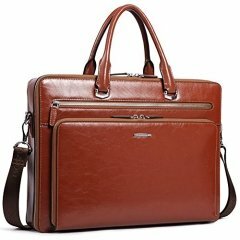 STRUCTURE: This briefcase contains 1 big inner compartment, 1 cell phone pocket, 1 inner zipper pocket,2 pockets outside, one of with is zipper closure and another is magnetic snap closure. 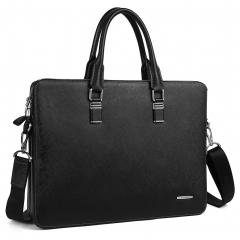 Secure and stylish single gusset construction expands for greater carrying capacity. 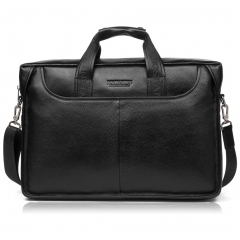 The laptop bag easily holds your less than 17 inch laptop, iPad, iPhone, A4 file and other business things. 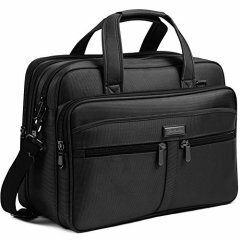 Adjustable nylon long shoulder strap: Designed to be carried over the shoulder or crossover the body, the shoulder strap is durable and convenient to demolition. ATTENTION: BOSTANTEN is a Registered Trademark and our ONLY Authorized dealer is BOSTANTEN. 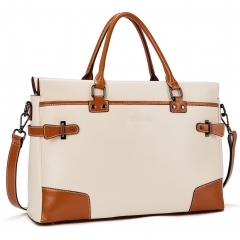 Please pay attention to avoid purchasing those COUNTERFEITS from other sellers, 100% genuine guarantee from BOSTANTEN.